Noah Garrett is a doctor who puts God above everything. Raised by Christian parents and taught the ways pleasing to God, he has prayed for years to meet that special woman he can grow old with. Brendy Blake has lived an abusive life. She never knew her father and was raised by an alcoholic mother who used her as a punching bag. All her life, she felt God was never there for her, so she stopped believing in Him altogether. 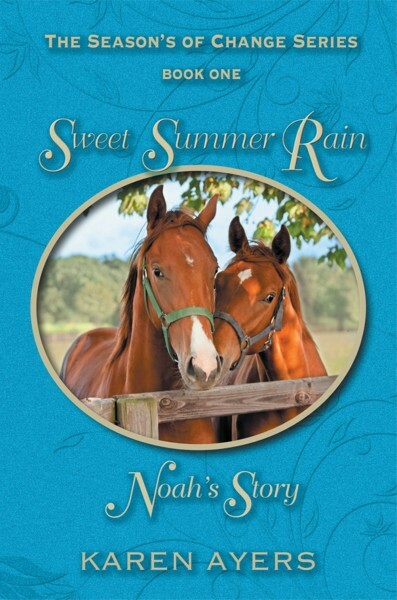 In the touching novel Sweet Summer Rain … Noah’s Story, see what happens when God puts these two people together. Do opposites really attract, and will Brendy be able to find the peace she has always hungered for? Hiding dark secrets and being blackmailed by one of Noah’s friends, Brendy believes the love she feels for Noah can never be acknowledged. In her heart, she knows she is not the woman he makes her out to be. The first in a four-part series, Sweet Summer Rain is a story of love and hope, but above all, forgiveness. Brendy finds the hardest part of forgiveness is learning to forgive yourself. Each book in the series covers the life of a different Garrett family member in the town of Summersville, West Virginia. After Sweet Summer Rain, watch what happens in the other seasons of the year!